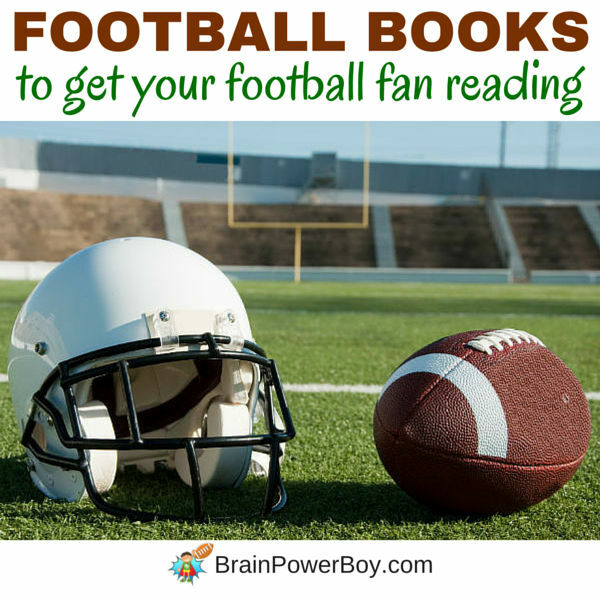 If you have a football fan on your hands these non-fiction football books are great for adding a bit of reading to the mix. Since a lot of boys like non-fiction books, we decided to start with those. I actually played a lot of football when I was younger. I grew up with two brothers and a neighborhood full of boys so if I wanted to play, I pretty much had to play what they wanted to play. I wasn’t too good at catching, but I sure could kick the ball. While playing football didn’t get me reading about football this does work for many boys. Grab a few titles, leave them out and watch what happens. 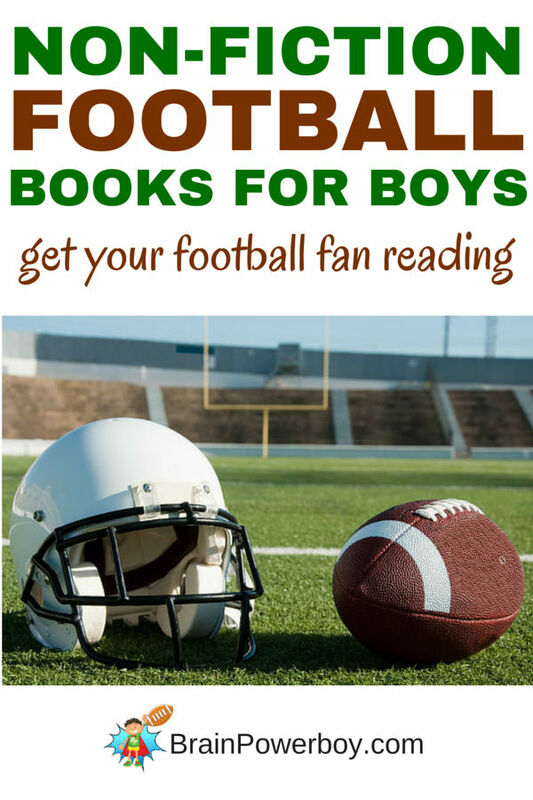 Our best books for boys list needed some sports titles so here you go. Now go score some great books. I’m starting out with a book that is perfect for young boys. Gail Gibbons writes approachable, informative books that kids really like. My Football Book is illustrated and covers the basics of the uniform and the game giving a quick overview of football. Everything Kids books are not fancy with a lot of colored photos, but they are quite well done. The Everything Kids’ Football Book is packed with info on football and includes trivia and even some puzzles. Put out by Sports Illustrated, 1st and 10 is a list book (see this article for more info on these high interest books) and I am telling you straight out that if you have a boy who loves facts, list books are a must have. Recently revised and updated, Big Book of Who: Football has a lot going for it. First off, it was popular enough to revise. Second, it is a football reference book. There is a lot of information here presented in Q&A format. It also includes plenty of full-color pictures. This is a good one! Sports Illustrated Kids Football: Then to WOW! is super for boys who like history or trivia. The book takes you through the football timeline and makes correlations between how they played, then to now. Here is an interesting one: The Science of Football: The Top Ten Ways Science Affects the Game (Top 10 Science) What a great way to get a boy who loves all things football to learn a bit about science as it relates to his favorite game. This list isn’t super long but it has the best books out there on it. There are many other non-fiction football books but they were older, and out of date so they didn’t make our list. Try a few of these – I know you won’t be disappointed. Watch for a football fiction book list coming soon. Want to check out all of our book lists? – go here.